This is a square Tremont Stoves and Ranges porcelain sign. This particular Tremont Stoves and Ranges sign is black with white print. 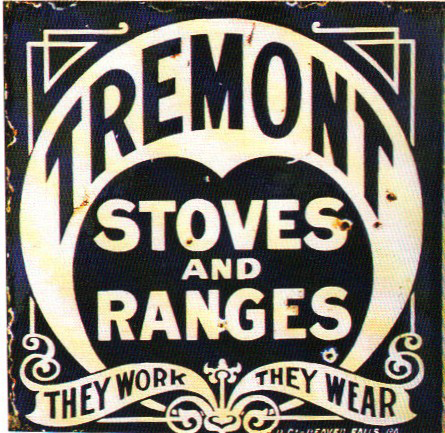 It reads, “Tremont Stoves and Ranges, They Work, They Wear” and features a white decorative border.